We may sometimes find it difficult to let go of certain painful events in the past. Even though it’s long-gone our inability to let go can become a great source of mental suffering in the present and affect the way we live and experience our life. Normally we respond by blaming the situation, ourselves or others but if we learn the practical methods of patient acceptance, we will gradually be able to reduce and ultimately remove these negative feelings of anger,hurt or depression that brings unnecessary pain and begin to live a happier life. 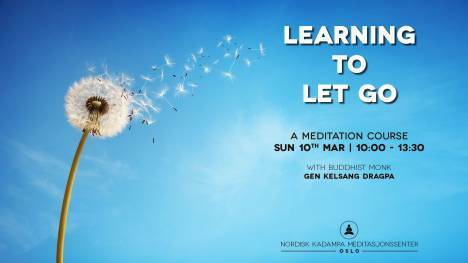 Gen Kelsang Dragpa will present meditation methods and ways of positive thinking that can help us transform our feelings about the past and live joyfully in the present moment.